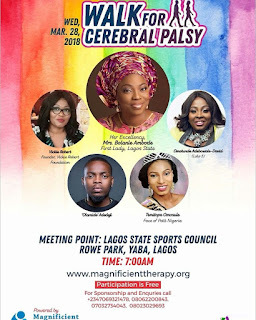 MAGNIFICENT Therapy Services Cerebral Palsy Walk on March 28, at Rowe Park, Herbert Macaulay way, Yaba, Lagos. The walk which will start from 7a.m. 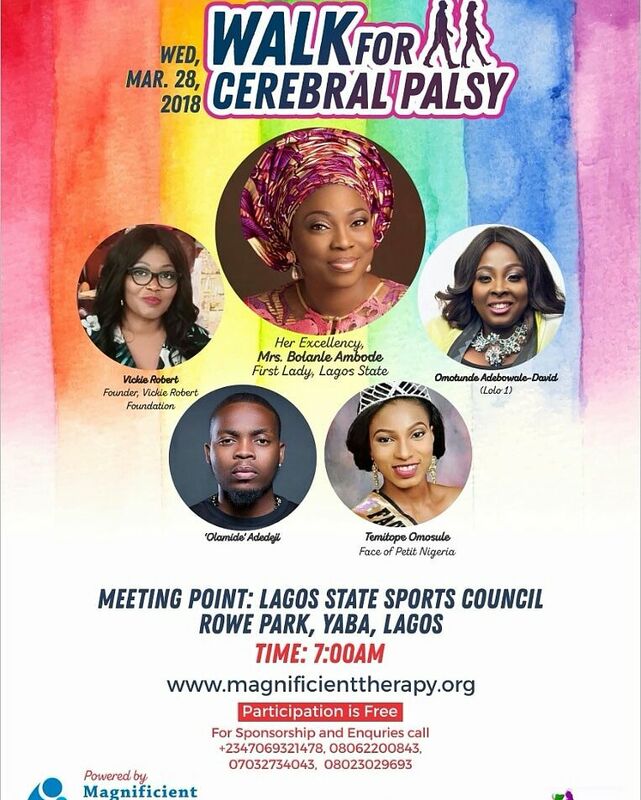 to 12p.m will begin from Rowe Park to Jibowu under-bridge and back, with the aim of educating people on ways to manage children with cerebral palsy and end stigmatization towards them. VickieRobert Hospitality (VRH) a full-service hospitality management company offering a suite of personalised services for visiting artists and celebrities will be one of the main attraction at the event. 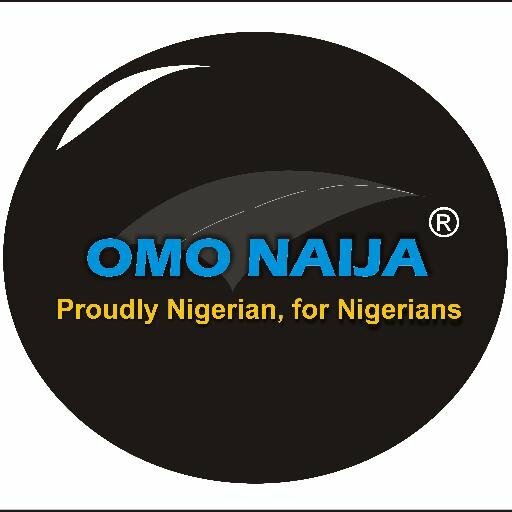 Based in UK, the company offers a full range of services specifically tailored to meet the unique needs of the visiting celebrity including: VRH-Meet and greet VRH Complimentary Drink Pre-ordered meal Health Check/Advice Therapeutic Massage Exclusive Interview Media Publicity Photo shoot Personal Shopper.